At Christmas, we all want to look our best. Not only is there an influx of parties to attend but it’s also a time of year that we run into people we haven’t seen in years. So why wouldn’t you want to feel amazing about yourself? That’s why for this edit I’ve created an easy Christmas makeup look in just 3 short steps. You won’t find an intricate cut-crease or tricky eyeliner here. Instead, I’ve conjured up a festive look that’s show-stopping yet simple, using some of the makeup world’s most coveted products. Whether you’re going on an evening out or have a full day of festivities planned you’ll want a flawless base that you can rely on. That means one thing must come first: a good primer. And you can’t get much better than Benefit POREfessional Pearl Primer, a brightening base that will give your complexion a healthy glow while smoothing your skin and helping your makeup last longer. I told you it was good! 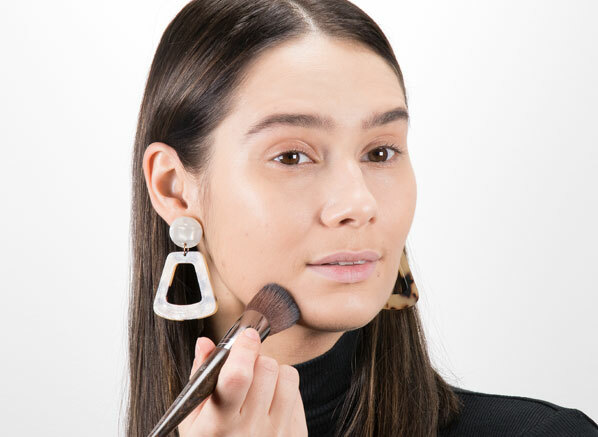 Once your skin’s prepped you’re ready to go in with foundation. If you’re like me and you want the best of both worlds, healthy-looking skin that’ll look flawless for hours, then the Lancome Teint Idole Ultra Wear Foundation is my ultimate recommendation. Not only is it super comfortable but it’s transfer proof, smudge-free and has NAI pigments that work in sync with the pH of your skin to reduce oxidation and cakiness. To finish off your base you’ll only need a touch of concealer thanks to the foundation’s full coverage finish. 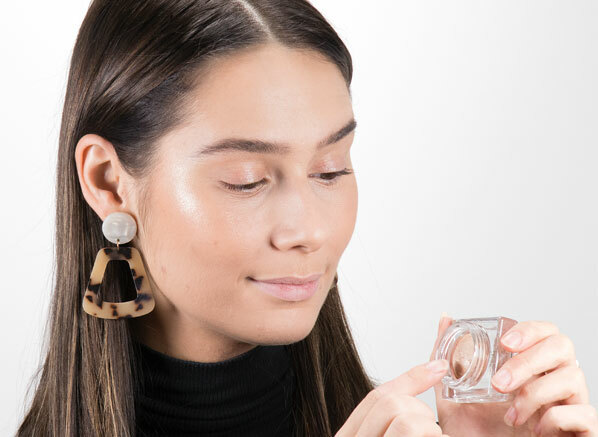 I suggest sticking with the Teint Idole range and covering any blemishes, redness or dark circles with the Lancome Teint Idole Ultra Wear Camouflage Concealer – its name gives away why it’s so good! Dust a little MAKE UP FOR EVER Ultra HD Microfinishing Loose Powder over your t-zone and under your eyes and you’re all set. The weather this time of year is bleak and miserable but your complexion needn’t be. Instead, I suggest warming up your skin with the bronzer of all bronzers: GUERLAIN Terracotta Sun Trio Bronzing Contouring Palette. Inside you’ll find 3 complementary bronzer tones that blend together to give your face definition and a gorgeous radiance. For highlighter, there’s only one option for me this year: Shiseido Aura Dew in 02 – Solar. 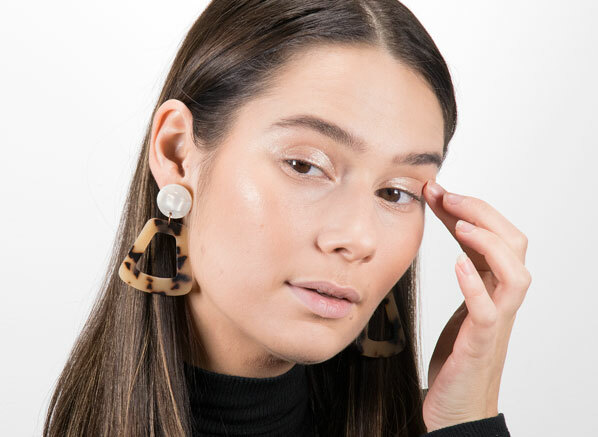 This cream-powder pearl highlighter has the most amazing iridescent finish thanks to added light refractive technology. I’ve never seen anything quite like it! 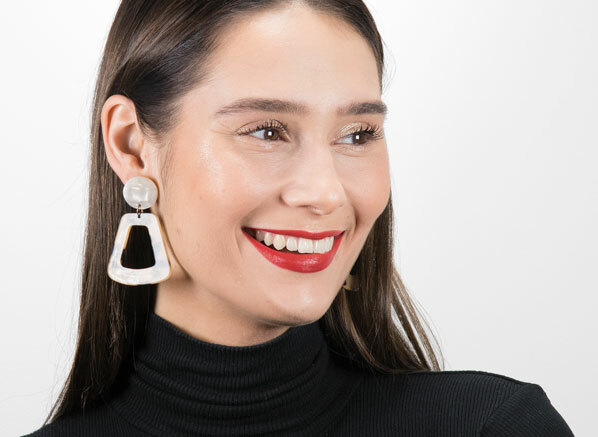 Use your ring finger to place this on the high points of your face, including the cupid’s bow, cheekbones and brow bone. You’re not done with Aura Dew yet! This simple makeup look doesn’t require a multitude of products, instead, I suggest applying Aura Dew in 02 – Solar all over the lid. The pigment of the formula is so vivid that a couple of layers will ensure your eyes glisten. Every blink is mesmerising when you have this on! Apply a few coats of Yves Saint Laurent Mascara Volume Effect – Faux Cils – Noir Radical to volumise your lashes and your eyes are complete. A red lipstick is a festive makeup must-have. Nothing says “Christmas” quite like it, and no one does red lipsticks quite like DIOR. That’s why for this look I’ve chosen the DIOR Rouge Dior Ultra Rouge Lipstick in 999 – Ultra Dior. 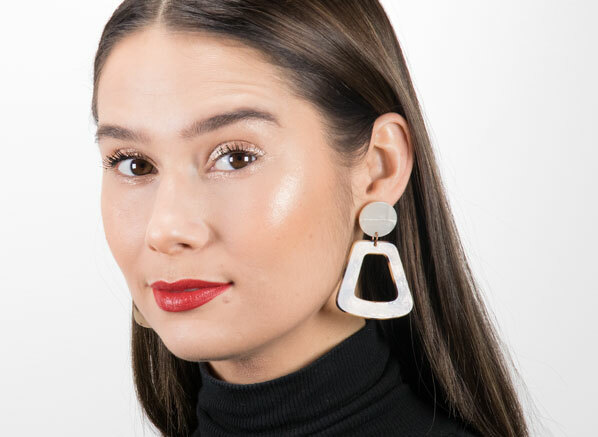 Not only is this neutral red flattering on all skin tones and comfortable on all lips (even those that are a little dried out from winter) but it’s also dressed in a super luxe red case. What more could you want? And here it is, a straightforward Christmas makeup look that’ll suit everyone and is an absolute breeze to recreate. Whatever you’re doing this festive season I have no doubt that you’ll find an occasion to recreate this look for. And if you do, don’t forget to tweet me @EscentualCeryn as I’d love to see them! This entry was posted on Tuesday, December 4th, 2018 at 12:05 pm and is filed under Hints & Tips, Make-up, New products. You can follow any responses to this entry through the RSS 2.0 feed. You can skip to the end and leave a response. Pinging is currently not allowed.